Right off the bat, I realize I'm going to contradict myself by saying "let's stop talking about Melissa McCarthy's weight" by writing an entire article focused on the fact that she recently slimmed down. But before considering it hypocritical, hear me out. On Sunday, the Mike & Molly actress attended P.S. ARTS Express Yourself 2014 in LA to support arts education, yet so many stories about the event talk about Melissa McCarthy's "45-pound" weight loss, instead of the amazing charity. And for that reason, I'd like to discuss why this is THE. WORST. Even just starting with the fact that people are guesstimating the exact amount of weight she lost. (How do they even know that? Did someone follow her around the red carpet with a scale?) That's her business, not ours. It's happened before with Jessica Simpson (aka any time she loses/gains a pound) and plenty of other celebrities, but the McCarthy news struck a nerve. I mean, it's always annoyed me, but CNN's story really got to me. 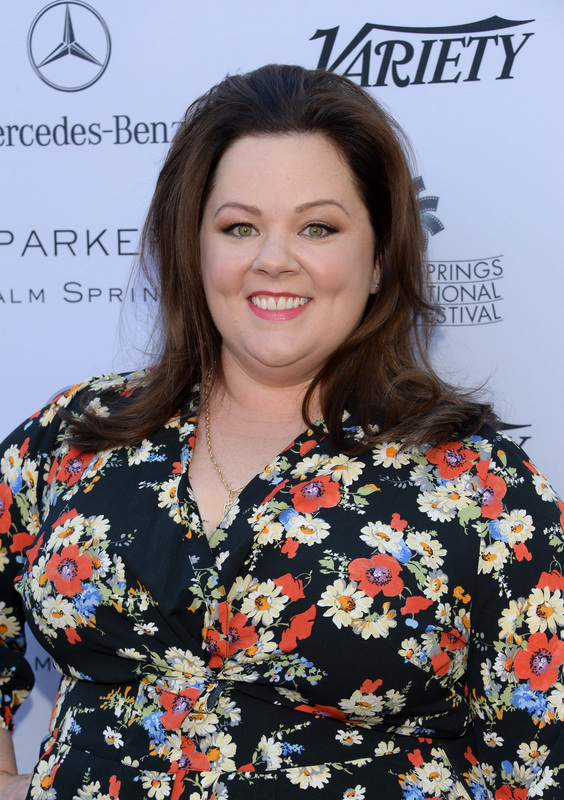 Even the headline "Melissa McCarthy sheds some weight" is problematic. It sounds like she's a human lizard, who performed an extraordinary feat by shedding a bunch of skin or something. The first sentence reads: "You'll be seeing a lot less of Melissa McCarthy." LOL, what? Nope, I think she's sticking around. Sure, that was probably an attempt at cleverly referring to her smaller size, but really it's insulting. She's no less of a person, simply because she lost a few pounds. Maybe this story struck a nerve for a more personal reason, too. I remember in high school, I lost some weight between sophomore and junior year. Honestly, I didn't even fully realize it at the time, but I do remember anytime someone would mention it with seemingly nice comments like, "You lost weight? You look great!" I hated it. I felt incredibly exposed, as if it was a backhanded compliment saying, "You were bigger before. Good thing you're not now." Maybe I took it the wrong way and misinterpreted it, but that's how it felt. Each time, I would muster a "thank you," when it somehow made me also feel embarrassed or like I could cry. That didn't even happen to me that much, so I can't imagine being a major celeb having to see headline after headline highlighting any and every change happening with your body. Not cool. I’ve never felt like I needed to change... I’ve always thought, "If you want somebody different, pick somebody else." But sure, criticism can sometimes still get to me. Some things are so malicious, they knock the wind out of you. So before you type another comment about a celeb's size or go to compliment someone on weight loss, pause and think. Tell them they look awesome, sure, but no need to bring weight into it. After all, it's an arbitrary measurement of who a person really is. Instead of perpetuating the idea that a smaller size is more attractive, can't we talk about how amazingly hilarious and fabulous Melissa McCarthy is instead? Plus, she's beautiful no matter what.